Why Use Hidden Deck Fasteners? Why Use Hidden Decking Fasteners? 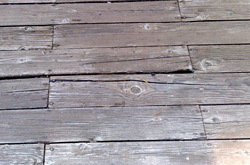 There are a number of reasons why hidden deck fasteners should be used when installing a deck. Below are the main reasons why hidden deck fasteners are your best option. Fastener Free Deck Surface: The main reason people choose to use a hidden deck fastener system over face fastening is to achieve a more attractive deck surface. When a hidden deck fastener system is utilized it leaves a totally flawless deck surface. Face fastened deck boards leave unsightly screws on the face of the deck boards which takes away from the visual aesthetics of the deck. 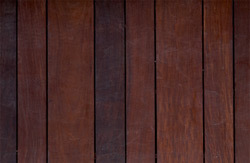 Prevents “Nail Pops”: When deck boards are fastened by driving the fastener through the face of the deck surface a dangerous situation could occur. The head of the nail or screw is typically driven to remain flush with the deck surface. Over time the screw or nail may lift from the deck surface which is commonly referred to as a “nail pop”. Nail pops can lead to a very hazardous walking surface. Faster Installation: Less Fasteners are needed when installing SOME hidden deck fastener systems when compared to traditional face screwing of deck boards. For example, The Ipe Clip® Hidden Deck Fastener Systems only require one fastener to be installed per floor joist. Traditional face screwing requires two screws per joist to be installed. This means that only half the amount of fasteners need to be installed when using The Ipe Clip® Hidden Deck Fastener Systems. Longer Fastener Life Span: Most hidden deck fasteners are installed in a manner that shields the fastener from direct contact with the elements (i.e. rain, wind, sun etc.). This protects the fastener from erosion and other factors that lead to the fastener failing. When a fastener is driven through the deck surface it leaves the head of the fastener exposed to all the elements, which can cause the fastener to fail. Face driven fasteners also make the decking material more susceptible to decay because the surface of the decking material is compromised by the fastener penetrating it.